· BAM stands for Business Activity Monitoring. · This component monitors various types of business activities, reports on them and sends out alerts when thresholds are reached or surpassed. · With BAM, end users, operational managers and to some extend analysts get a real-time overview of the state of ongoing affairs. · It is required to improve decision-making processes. · Oracle BAM Active Viewer is the thin user interface for the business user. · When new, information is available; the user receives an instant message that contains a link to the information. · The user opens Active Viewer through this link and a report is displayed. · Report formats include charts, columns, cross tab, spread sheets, KPIs, lists and more. · These different formats can be combined in one report or viewed in separate reports. 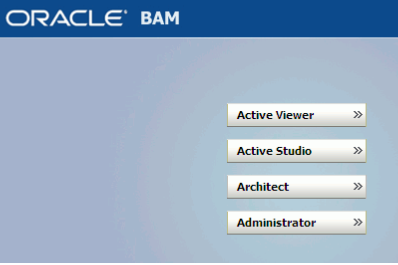 · Oracle BAM Active Studio is the thin user interface for the power user. · Through Active Studio, the power user can create and edit reports. · Report creation includes field selection, formatting, filtering, calculated fields, and summaries. · Reports may be published and rules can be created for determining the scheduling and delivery of the reports. 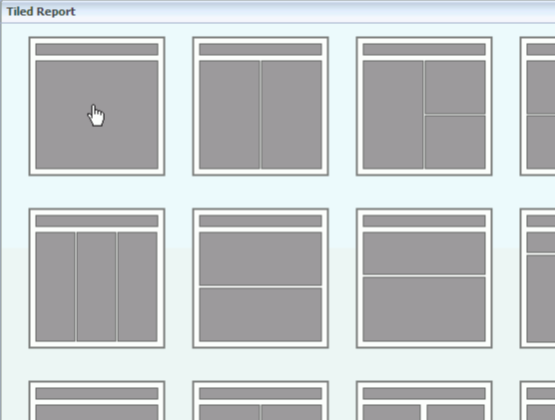 · View types include: charts, columnar, cross tab, spread sheets, KPIs, lists and more. 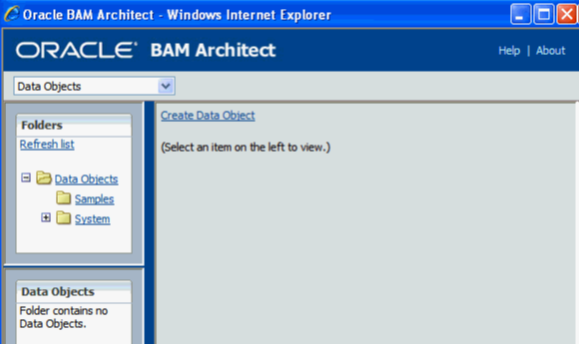 · Oracle BAM Architect is the thin user interface for the data designer focused on creating data objects in the Oracle BAM Active Data Cache so that power users can create reports. · Through Oracle BAM Architect, the data designer creates data objects, creates and schedules data flow plans, imports and creates metadata, and maintains the data objects and rules. · Oracle BAM Architect is seamlessly integrated with Oracle BAM Active Studio. · Oracle BAM Administrator is the thin user interface for the system administrator who is responsible for user management and overall server management. · Through Oracle BAM Administrator, the system administrator can add or delete users, define security levels for users and objects, manage the Oracle BAM Active Data Cache, and maintain and configure Oracle BAM services. · We define data objects, structures of data that form the basis of the reports, presentations and alerts. · The data object is like an interface or a view definition that defines a structure. · It is then up to the data providers to deliver the data that fits into this data object template. · You create reports in Oracle BAM Active Studio for viewing, sharing with other users, and for delivery by alerts based on information or conditions changing within the report or data objects on which it is based. · Reports can contain one or more views of point-in-time or real-time information (active data). 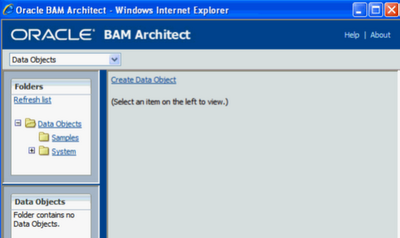 Active data means the display continues to update as the data changes are received in the Oracle BAM Active Data Cache. · When designing reports, you can choose from a variety of template layouts. · You might want to include two or more views in a single report. · Each view is formatted to show information from a data object in a view type such as a list, chart, or key process indicator (KPI).Creating reports also includes selecting data sources, choosing data fields, sorting, filtering, and formatting the information. · User can see the reports depend on the privileges given to him by the administrators.